The last thing you want when you buy a new smartphone is it developing a fault, especially anything involving the battery, but that’s what a handful of users are reporting has happened with their new iPhone 8 Plus units. One of the earliest reports came over a week ago, with Twitter user @Magokoro0511 claiming that when they first opened the box the battery was already inflated, pushing the display away from the frame. Other users are reporting a similar issue after plugging the iPhone 8 Plus in to charge, supposedly using an official Apple charger. 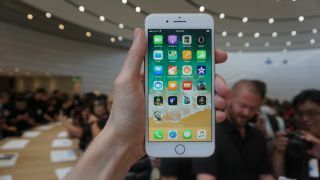 TechRadar spoke to Apple for comment, which confirmed to us that it was "looking into" the problem but didn't provide further information into what the issue might be or how many phones it was currently affecting. This situation may call to mind the issues with the Samsung Galaxy Note 7, which ultimately resulted in the phone being recalled and discontinued, but there’s no suggestion that Apple’s problems are on anything like the same scale, or even that the battery failure rates are above what's naturally expected with phones. While we don’t know how many batteries have become swollen - reports from Apple Insider currently put the figure at around five - given that there are probably millions of iPhone 8 Plus units in circulation already isn’t statistically significant. The normal failure rate of lithium-ion batteries is around one in 10 million (although that relates to serious, exploding power packs), so this sounds roughly in line with that – and that assumes that the phones really were charged with official chargers and weren’t mishandled in shipping or by users. The Samsung Galaxy Note 7 for comparison experienced a battery failure rate of over one in 20,000. Far, far higher than what we’re seeing here. None of the iPhone 8 Plus battery issues that have been reported have caused any fire or property damage either, which is why they're not being reported as full failures. So if you’re in possession of an iPhone 8 Plus or considering buying one we wouldn’t worry.